Gavin Barwell, the Conservative MP for Croydon Central, has received another official rebuke over his conduct, this time from the Parliamentary Commissioner for Standards at Westminster. Barwell’s had his wrists slapped by the commissioner, Kathryn Hudson, for continuing to send out his thinly disguised Tory recruitment letters on notepaper carrying the House of Commons’s portcullis badge, even after his unauthorised use of the royal device had begun to be investigated by her office. 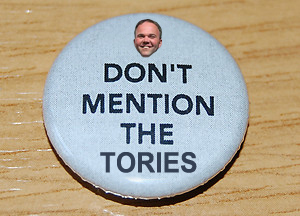 Since being elected to parliament in 2010, Barwell has had his election spending investigated and criticised by a judge, and has had the Information Commissioner rule against him for misusing his constituents’ personal data.